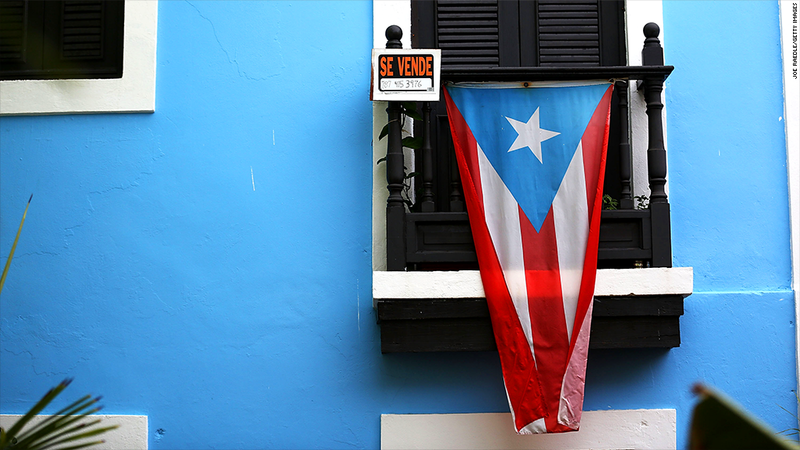 Puerto Rico has been dubbed "America's Greece." The island defaulted on its debt for the first time ever on Monday. If you're just catching up, here's the latest on the crisis -- and what you need to know. Last updated August 3 at 3:50pm ET. 1. Puerto Rico is now in default. It paid only $628,000 of a $58 million debt payment that was due by Monday. This marks the first default in the island's history. 2. In total, Puerto Rico owes about $70 billion to its creditors. Its governor, Alejandro Garcia Padilla, has said the government cannot pay all of its debt. He says the Puerto Rican economy is in a "death spiral." He has put together a working group to come up with a plan by the end of the summer. 3. Puerto Rico is in a debt crisis because the government has overspent for years while the island's economy has shrank. Puerto Rico has the same amount of debt that New York State has, but the population of Connecticut. 4. The island is supposed to pay a total of $483 million on Monday. Experts believe Puerto Rico will pay all of that except for $58 million that's due to the Public Finance Cooperation. 6. The economy in Puerto Rico is in dire situation. Unemployment is 12% -- more than double the rate in the United States (5.3%). 7. There's a mass population exodus underway. Tens of thousands of Puerto Ricans are leaving the island for the mainland United States in search of jobs and stability. It's being compared to the 1950s "West Side Story" era. 8. The Obama administration has no plans to bail out Puerto Rico. They have said so repeatedly. The best hope for Puerto Rico is for Congress to change the law to give the island Chapter 9 bankruptcy rights -- something all 50 states have. But the bill in Congress to do that is highly unlikely to pass. Even if it does, the island itself could not declare bankruptcy, only municipalities on the island. Moody's analysts say Chapter 9 rights won't help the current debt situation. 9. It gets worse. In addition to an awful economy, Puerto Rico is going through a real drought, drying up the island's water supply. Locals say the government has been cutting off tap water for two days straight in towns that tourists do not visit. It's a part of a water rationing program the government began earlier this year. 10. Puerto Rico's default is unlikely to trigger any sort of mass bond sell-off. That said, over 20% of bond funds in the United States own at least some Puerto Rican bonds, according to data from Morningstar. If the defaults continue, more Americans will be impacted.